Devin: Why didn't Philips or Codemasters pursue more conversion projects to CD-i, was anything planned besides Micro Machines? Ash: Well, during MM we were all talking about a couple of further projects. 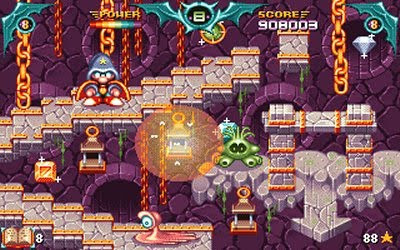 A conversion of Codies' Megadrive game Psycho Pinball was the most considered, and for a while there was talk of a deal to do a conversion of Theme Park. With hindsight I am SO glad that never happened, it would have been a nightmare. In the end though the budgets were never going to be big, and after MM I opted to go and do a PlayStation title for Empire. With the low budget, and the fact that none of the other coders were ever really that interested in CD-i, I think it just died a natural death right there. Psycho Pinball developed by Codemasters and published by Philips for PC CD-ROM seemed the perfect conversion candiate to CD-i. However with the decline of CD-i during this games release around 1995 it's easy to understand why they never forged ahead with the project. We've seen just how well pinball dynamics can be converted to CD-i with Plunderball. Could Psycho Pinball have rivalled this game or is this just another game for the interactive Dreams blog CD-Imagine? Accelerator was rated with a 3,9 in total (10 being the highest/best). Search the site to find more info on the game. 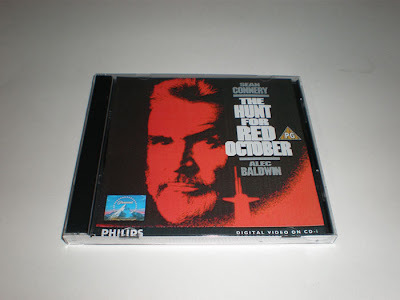 From today, we start with Atlantis: The Last Resort: The first person shooter on CD-i from Philips ADS in 1997. Check out the label 'Poll' to read all previous entries in the CD-i Reader Rating. The first portable CD-i players (310, 350 and 360) didn't have a Digital Video Cartridge on board, probably because the portable design would get too big and the small DVC model didn't exist yet (and it would take a lot of energy out of the battery too). It was still possible to play Digital Video on these CD-i players, as long as you connected the player to its Docking Station Unit. 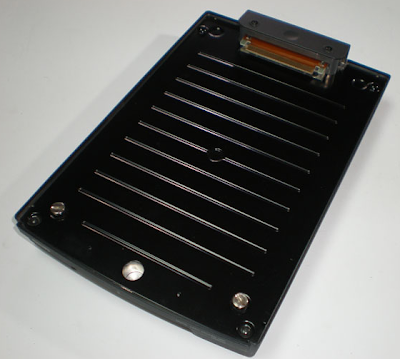 The Docking Station(22ER9142) has an integrated Digital Video Cartridge inside, plus its connected to the power adapter as well. The portable CD-i players were never sold to consumers (at least not in mass production) but the Docking Station was sold as a seperate product. I knew the 370 model was made by LG in Japan but I noticed the Docking Station was also made in Japan, so it's not made by Philips itself. Were all the portable models made by LG? More info on original plans for the U.S. release of "Fatal Attraction" for CD-i: booklets for the earliest titles released in the U.S., such as "Black Rain", listed "Fatal Attraction: Director's Cut" in Philip's catalog of Digital Video Titles, and booklets for the subsequent wave of titles, such as "Posse", listed it with the slightly amended title, "Fatal Attraction: Director's Series". Member 'radiomd' found that there was indeed a release of "Fatal Attraction" in the "Paramount Director's Series" of titles for both VHS and laserdisc in 1992 that included an introductory segment hosted by the film's director as well as the film's "controversial original ending". Apparently Philips' original plan was to re-release all of this material for CD-i and not just the main feature. radiomd: "Because the "bonus content" for such a release had already been prepared and released in other formats in 1992, it no longer seems possible to me that the CD-i title might have been held up because of editorial issues. 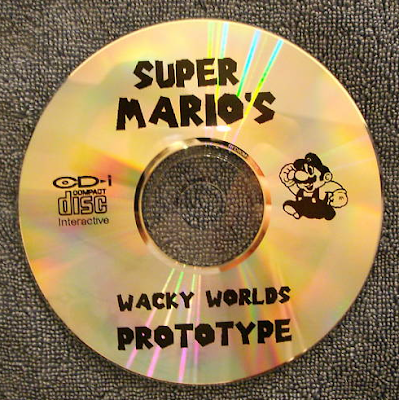 Instead I wonder whether Philips Interactive Media undertook to build a CD-i app to present the extra content interactively, essentially prototyping what a "deluxe edition" for home video might be like about a half-decade ahead of the first DVD titles of that sort." More information about "Fatal Attraction: The Paramount Directors' Series" as released on VHS is here, in a New York Times article of March 12, 1993. Philips had entered into a string of joint ventures in Japan in order to facilitate software production. The scale of these joint ventures illustrates the extent to which CD-i as a multimedia technology involves areas of expertise which even a major multinational electronics company like Philips does not possess in-house. In Japan Philips teamed up with major print and electronic data publishers. 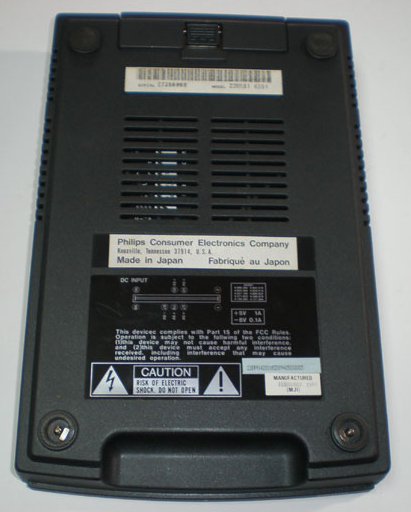 The development of the prototype professional player was carried out by the joint venture with Kyocera, and the participation of Yamaha and the major record company Pony-Canyon in Japan Interactive Media was intended to compensate for the relative weakness of PolyGram in Japan compared to its position in Europe and the US. Japan Interactive Media acted as a publisher of all Japanese CD-i software, contracting various developers for localizing western CD-i titles and creating exclusive CD-i titles as well. - Atelier Double worked on Mystic Midway (all programming), Saitou Yuki Anniversary (all programming), and Tokyo Shiritsu Gakuen Juken Guide (all authoring). Perhaps Atelier Double was responsible for translation of the game, as the game "Mystic Midway" was developed by Philips POV in USA. -Opera House's website lists "Vincent Van Gogh," "Las Vegas," and Cartoon Jukebox. I wonder if Las Vegas refers to the unreleased Deja Vu 2: Lost in Las Vegas. The title library looks like the list of Philips Artspace, which japanese work we covered here on Interactive Dreams in 2008. It is a pity information on japanese CD-i activities are very hard to find! -Last bit of information is an untitled golf game (unreleased) developed at Cream. Could that be linked to the unreleased City Golf game we talked about recently? We hope to find more contacts and info soon! 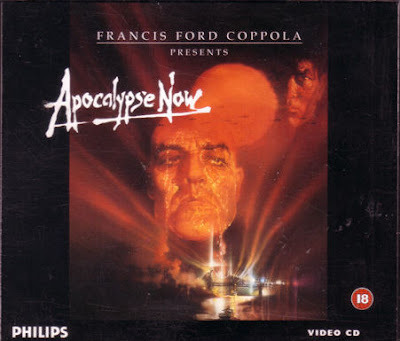 "Apocalypse Now" shows signs of having been bumped from the earlier release schedule after it had already progressed far enough for Philips to print booklets and sleeves: the booklet of the released version that I have, authored 11/94, has the "Digital Video" designation, and a sticker is affixed to its sleeve to indicate that it's in fact a Video CD. The CD-i DV promotional video shows clips of "Apocalypse Now" in pan and scan format, while the eventual release is letterboxed; perhaps the question of how to present the film for CD-i was a sticking point. And while I'm making wild guesses about why titles may have been delayed, I'll note that the CD-i DV promotional video also shows brief clips of a Michael Douglas interview and of footage taken on the set of "Fatal Attraction" under the narrator's claim that "selected movie...titles will offer...celebrity interviews, behind-the-scenes footage, and more." Perhaps Philips Interactive Media ran into snags in preparing or gaining approval for such material for "Fatal Attraction" and shelved the project. Does the European release of "Fatal Attraction", one of the early releases there, contain anything like that? Black Rain (9/93), Coneheads, The Firm (12/93), The Hunt For Red October (9/93), Indecent Proposal, The Naked Gun 2 1/2 (9/93), Patriot Games (9/93), Posse, Sliver, Star Trek VI: The Undiscovered Country (9/93), Top Gun (9/93), Wayne's World (2/94) and White Christmas (9/93). 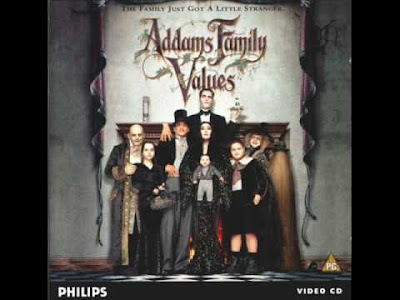 The three U.S. titles released as of June, 1994 that were apparently Video CDs and not CDi-i DV titles were: Addams Family Values, Goldfinger (5/94), Wayne's World 2. Fitting right in with that evidence is a document entitled "What is Video CD? ", dated April 6, 1994 (presuming U.S. date formatting), in which Andrew Davidson and Lucy Lediaev of Philips Interactive Media of America describe the benefits of publishing video titles in the Video CD format over VHS and even over CD-i DV. That document is archived here. So what about "Fatal Attraction" and "Ghost", which were released as CD-i DV titles in Europe? Apparently neither title was released in the U.S. prior to the changeover from CD-i DV to Video CD. I have a copy of a U.S. release of Fatal Attraction dated 10/95, and it's a Video CD title. I've never been able to find a copy of the U.S. release of "Ghost", but given that it's not mentioned in the list of releases as of June, 1994, I'm comfortable supposing that it was a later arrival in the U.S. as well. More evidence that April, 1994 was the cusp. 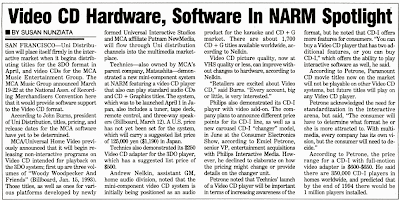 A Billboard magazine article of April 9, 1994, "Video CD Hardware, Software in NARM Spotlight," (see scan above), attributed the following information to Emiel Petrone, a senior VP with Philips Interactive Media: "Paramount CD titles now on the market will not be playable on other Video CD systems, but future titles will play on any Video CD player." I've never seen fake copies of ANY game as much I do lately of Super Mario's Wacky Worlds on CD-i! Have you bought any of these? Micro Machines *Special Edition*... one more time! We've talked a lot about Micro Machines CD-i lately, haven't we? While reading through that interview again I see this: "Micro Machines is obviously the type of game that's more fun against a friend (or several), so Codemasters really wanted to incorporate multiplayer in the CD-i version. We were primarily thinking of the then-new CDi-450 unit. One console-esque controller was what the unit came with, so I think it was David Darling who suggested just letting the cars auto-accelerate and share the 2 sides of the gamepad to control just the steering. The J-Cart was a superb idea in my opinion, and was only made possible by the fact that Codemasters had successfully won a court battle from Sega and continued manufacturing their own cartridges. Technologically I don't think it was very difficult to implement - but everyone else was buying their carts from Sega and you weren't going to get any such feature from them. " That sounds like a reason for a special edition too! Philips received three concept treatments of "The Apprentice 2"
Read the scoop on more info about the concept arts of the sequel on CD-i seller "The Apprentice here! Philips received three ideas from three different studios on how the sequel to The Apprentice could look like. Idea 1: "The Apprentice 2" by SPC Vision - The same studio who was responsible for the first Apprentice game. The 'tech demo' SPC showed includes more experiments with horizontal scrolling and focused at first glance on what they had achieved in the first edition of The Apprentice. It looks like a safe route because some important key developers had left SPC Vision before the sequel came off the ground. Idea 2: "Marvin's Revenge" by PixelHazard - The studio formed by two ex-SPC developers who also co-produced 'Lucky Luke' on CD-i. This is the version that we already knew about. You can read more about it here. The work done in this concept art focussed far more on design rather than on technical achievements with the CD-i hardware (Love the manga by Luke Verhulst), but the eye candy makes me wanting more already! Idea 3: "Marvin's Mountain" by Line Up (also featured co-workers from SPC HQ: Angelo Bod worked on Uncover: Featuring Tatjana and on Steel Machine (under Zephyr Studio alias). Angelo: "Philips wanted a flagship game to boost the CDi Platform like Nintendo and Sega. We were asked to do a demo for Apprentice 2. We had 1 week to come up with concept sketches and idea's for this platform game, which wasn't easy." The idea never came further than some animations and concept artwork. Which demo/concept sounds like the best idea for a sequel to CD-i's The Apprentice?